We'd be lying if we said Persian carpets don't have some decent defenses of their own. Unlike with factory-manufactured carpets, the makers of Persian carpets wanted to create a piece that's not only beautiful and awe-inspiring but also more resilient than others. For the most part, they've succeeded – Persian carpets can easily outlive their owners, which is why they're oftentimes passed onto future generations (their high value might have something to do with it, too). Yet just because an item is well-made doesn't mean it should be handled poorly. Even the best carpet will falter when subjected to enough damaging circumstances, and Persian carpets are no exception. 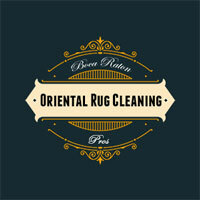 You might think that you're taking good care of your Persian carpet, but are you really? Dust has a way of sneaking into fabric and staying there even after vacuuming – not to mention, any excess humidity in your room might have paved the way for mold. 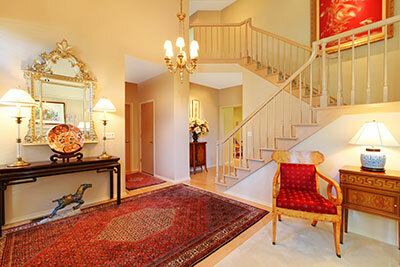 There's no better way to know where your carpet stands than to have professionals come over and have a look. Our in-depth initial check will reveal any and all issues with the carpet, from minor dust accumulation all the way to bigger and scarier issues like mold or carpet beetles. 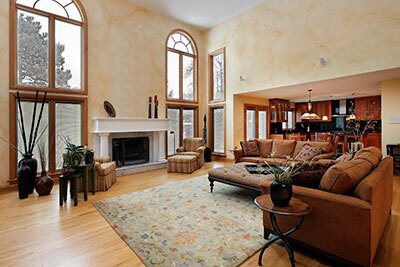 ​Once we know what's up, it's time to clean the carpet and bring it back to mint condition. On our way to understanding more about your Persian carpet, we'll likely ask a good few questions about its history and past treatment – when we start cleaning, though, you can sit back and watch as your treasured carpet becomes brand new again. Hand washing is always our go-to method: the less we use machines, the better. With that said, we might have to utilize a vacuum cleaner during the pre-cleaning, or even something like a hot water extraction machine should things really get stubborn. Don't worry, though – our machine cleaning will be a far cry from chucking the carpet into a washer and hoping for the best. Indeed, a good part of why we're so proud of our work and method is the safety that we can guarantee: whereas another cleaning company might assault dirt and stains with reckless disregard for consequences, we prefer a measured approach. Yes, filth is our enemy, but this doesn't have to mean your Persian carpet needs to go through a battlefield to get clean. Another thing we take pride in is the simple fact that we work until we're done. No one-and-gone cleaning jobs here: your carpet will be closely examined post-cleaning as our technicians scrutinize the fabric for any undesired leftovers and deal with them accordingly. With every job, we stake our reputation on being able to produce a clean and inviting carpet no matter its initial conditions. Best of all, though? You never have to worry about our cleaning company doing more harm than good and ruining your carpet's appearance – we care about your Persian carpet just as much as you do, and we'll treat it as if it was our own.